The Trump administration, while already a three ring circus in which no one knows what’s going on and the lions have gotten loose, has completely dissolved into pure chaos. Jeff Sessions, of old archaic racist fame, has somehow managed to get himself in the dog house with Trump. Meanwhile, James Comey has delivered a testimony which, while enthralling, failed to answer the most important question of the last five months: is Trump, in fact, impeachable? After James Comey was fired for taking Trump at his word when asked to get rid of this meddlesome priest, Robert Mueller, a man who has thus far floated above the turbulent seas of American Politics intervened to set the investigation into Trump’s general sleeziness back on the rails. Trump, not to be dissuaded, has done everything in his power to kill the investigation into the results of the 2016 election, to arguable success. On the one hand, he’s still in office, and that’s more than anyone really expected, given his complete lack of experience and general ineptitude. On the other hand, he has been made a mockery by the American public. Despite being a world leader, he has become a complete and utter laughingstock in the eyes of his people, unable to govern because of his own ludicrous habit of contradicting his own team on Twitter whenever he’s left alone with access to the internet. Can a man who believes that America won’t notice when he shoves himself in front of other world leaders to be at the front of a picture really succeed in completely derailing an investigation into his underhanded, shady dealings with his businesses and other countries? He seems to think he can. As of June 12th, Trump was considering firing Robert Mueller- which, legally, he can do. Federal regulations allow for the firing of special counsel for misconduct, dereliction of duty, incapacity, conflict of interest, or other good cause, including violation of department policies. 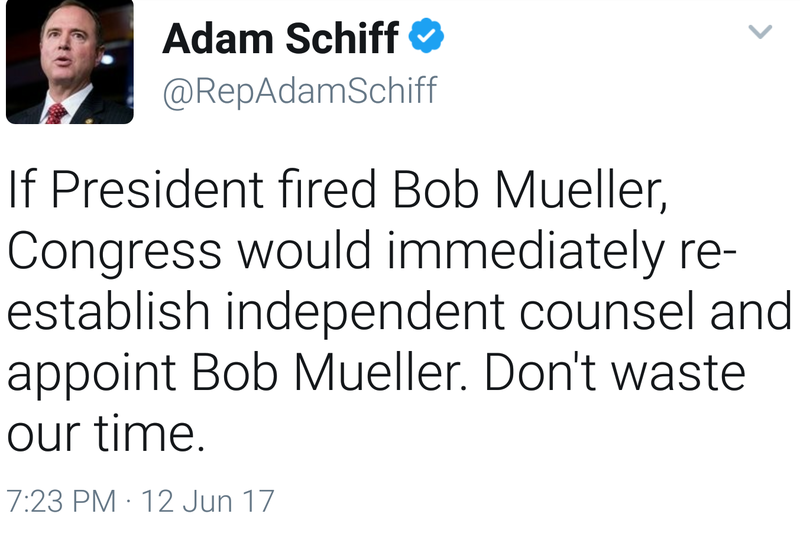 However, Trump is not able to fire Mueller directly. The Attorney General would need to do the firing, and as Sessions has recused himself from all things Russia-related, the task would fall to Rod Rosenstein- the same man who hired Mueller in the first place, due to his untarnished reputation in Washington as the last honest man.